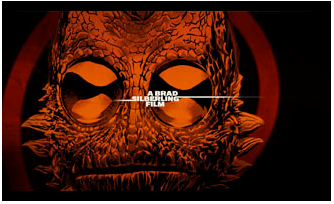 Forget the Film, Watch the Titles is a website dedicated to motion picture end titles. As the name implies, even if a movie doesn't quite live up to its expectations, the end credits may still be worth checking out. 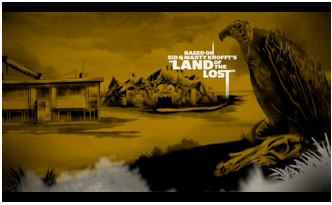 Case and point--Brad Silberling's 2009 Land of the Lost. Before we delve into the title sequence, just a few words about the film itself. OK, no one would ever go to The Land of the Lost expecting some kind of Oscar-worthy material. The project from the outset was obviously designed as light entertainment. So as Tashai points out, if you view the film simply as a series of short sketch comedy skits rather than a complete story, the acting is quite good at times. Nuff said. Onto the end credits. As always, a title sequence at the end of the film must have an impactful musical accompaniment, and this one does. 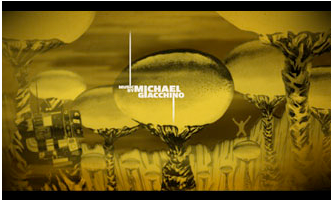 “The composer is Michael Giacchino who took [the] animation and created the amazing score for the titles.” Combined with an a stellar animated sequence produced by the creative team at Alchemy/Axiom, the end titles bring to mind retro images of the old Jonny Quest cartoons from 1964-65. 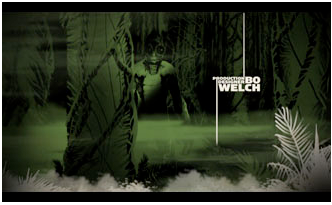 See the complete end title sequence at Forget the Film, Watch the Titles or at the Alchemy website.